Globally, wild animals now represent about 15-20% of all furs used in the trade. 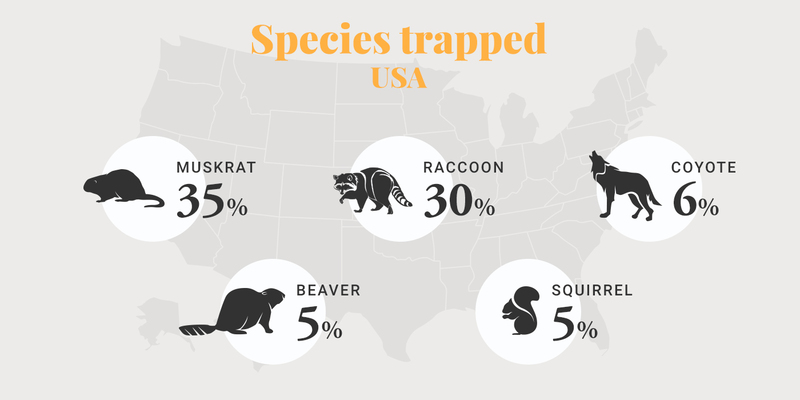 In North America, the largest producer of high quality wild furs, the proportion is closer to 50%. 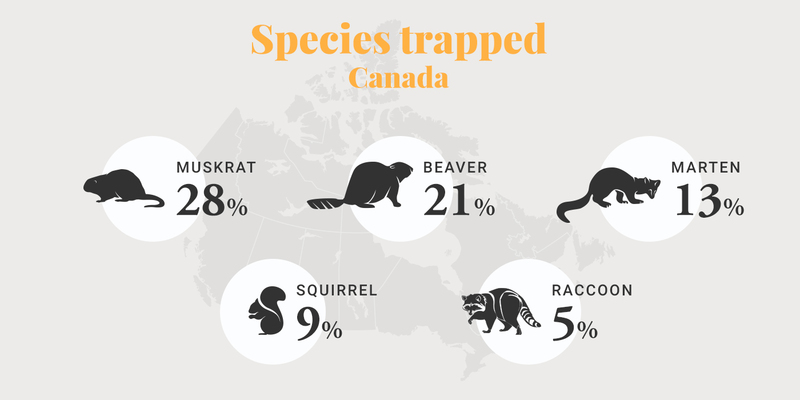 Species include muskrat, beaver, raccoon, marten, fox, coyote, bobcat and lynx. Smaller quantities of wild furs also come from Russia (sable), Europe (fox), South America (fox, nutria), and other regions.